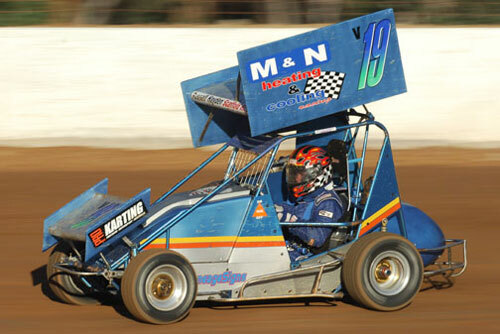 The opening round of the Vic Country Series was held at Ballarat last weekend. Ash Budd was there to capture these images. Results from the meeting are at the bottom of the page. 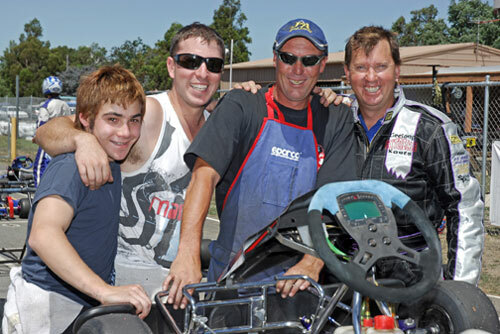 Above: Jye Okeefe gets a lift and push from dad Shane. Above: The clowns of the series…? 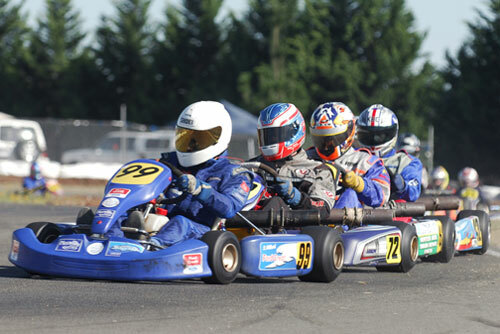 Above: Now that’s not a kart… Junior Clubman driver Scott Dillon did double duty, racing this Formula 500 at Ballarat’s Redline Speedway on the Saturday night. 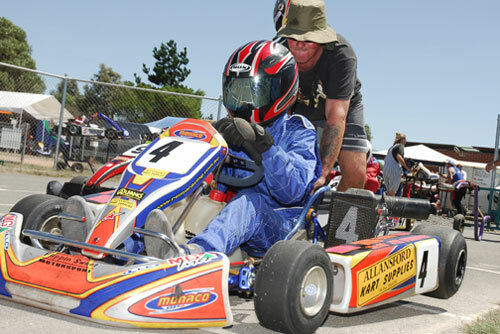 Ash Sinclair did the same, racing both karts and F500s within a matter of hours. 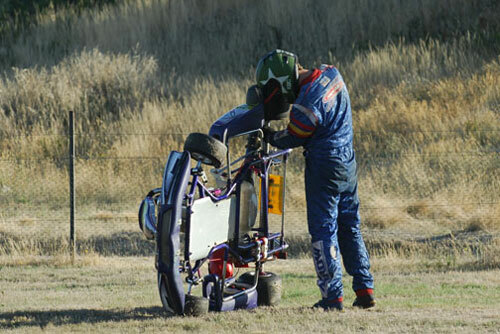 Above: Luke Cornish replaces his left rear wheel after loosing it during carby session on Sunday. Above: Stefan Millard leads a tight Clubman light train. Stef went on to win both Cluman Light and Leopard Light, a great start to his debut season as a senior. Above: Junior Light carnage at the start line. 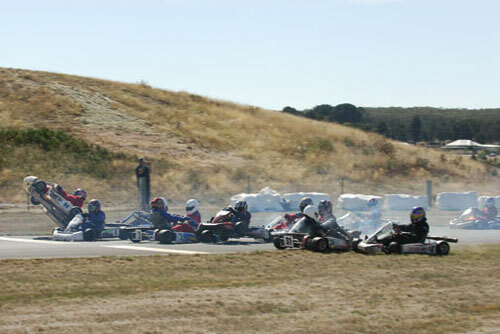 Just as the light went green for the first heat a couple of karts spun mid pack causing a chain reaction and some synchronised kart aerobatics. 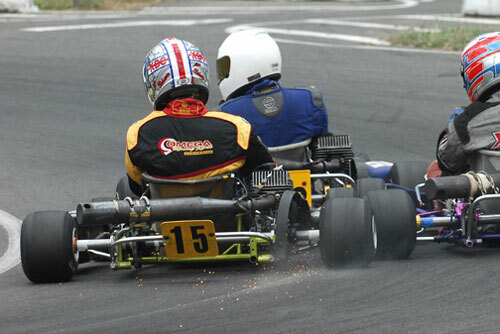 The 94 machine of Jayden Borg and the 17 Kart of Steven MacKenzie finding some air. Above: Put your Hands Up For Detriot!!! 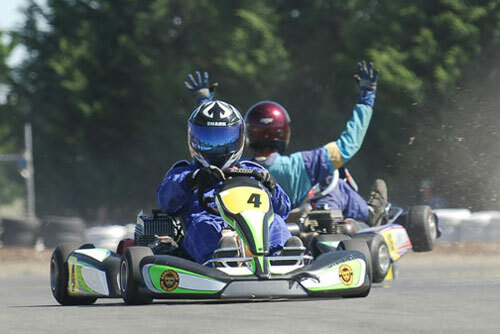 Whilst Ash was snapping a shot of Scott King #4, the kart in the background came spinning into frame, hands up, wheels off the deck! 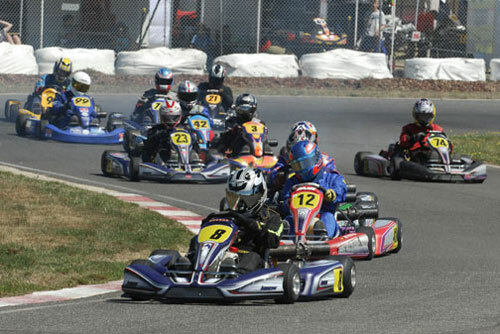 Above: Matty Smith leads a large Midget feild, Matt coming home second in the final dehind Kyle Rethus. Above: Speed, tyre smoke and sparks – a rev heads dream! 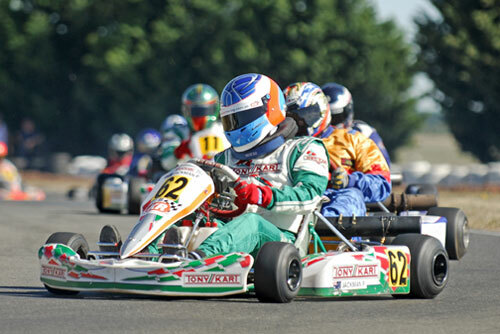 Above: James Vereker 81 and Rhys Newman 25 of the front for the Final of JNL. The pair finished where they started. 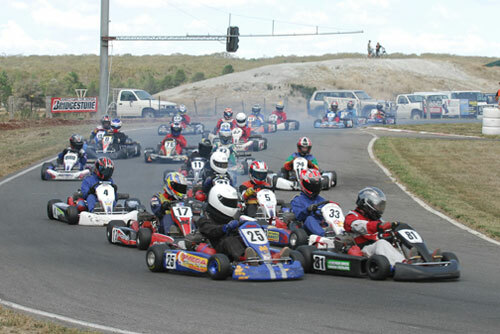 Above: Luke Fong out in front of Clubman Light “group A”. 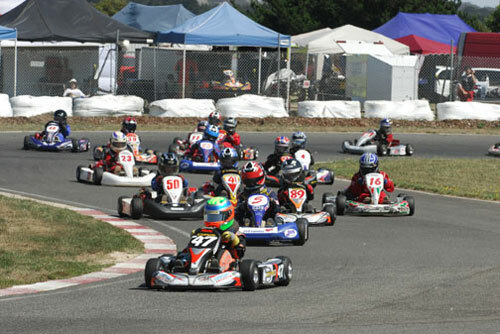 The oversubscribed class was split into two groups for their heats before a repercharge and final.